The Bing Man's Home of the Leafs: Mendes on lowering the bar OR why the Leafs of the early 1990s accomplished much! 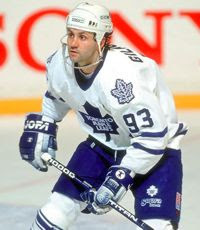 Mendes on lowering the bar OR why the Leafs of the early 1990s accomplished much! Here is a good article from Sportsnet's Ian Mendes on the difficulty Canadian teams experience after they go deep in the playoffs, including the usual dropping off in the standings subsequently (Calgary '04, Edmonton '06, for example). He then goes on to (rightly) laud the Leafs squads of 1993 and 1994 for their deep back-to-back runs, which in hindsight is an impressive accomplishment indeed! Posted by The Renegade Librarian at 9:13 a.m.